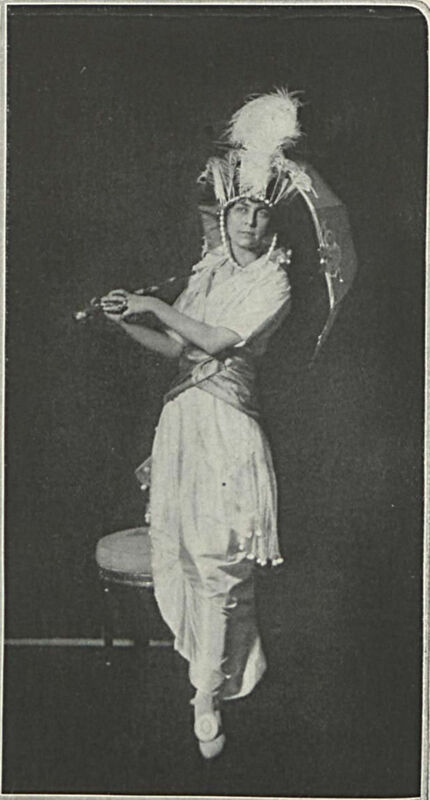 In 1914, modern fashion photography, as we know and love it today, was still in its very nascent, experimental phase. Photographers such as Edward Steichen and Baron Adolph de Meyer had demonstrated the artistic possibilities of the medium but it would be years before their influences would be overwhelming felt within the pages of fashion magazines. 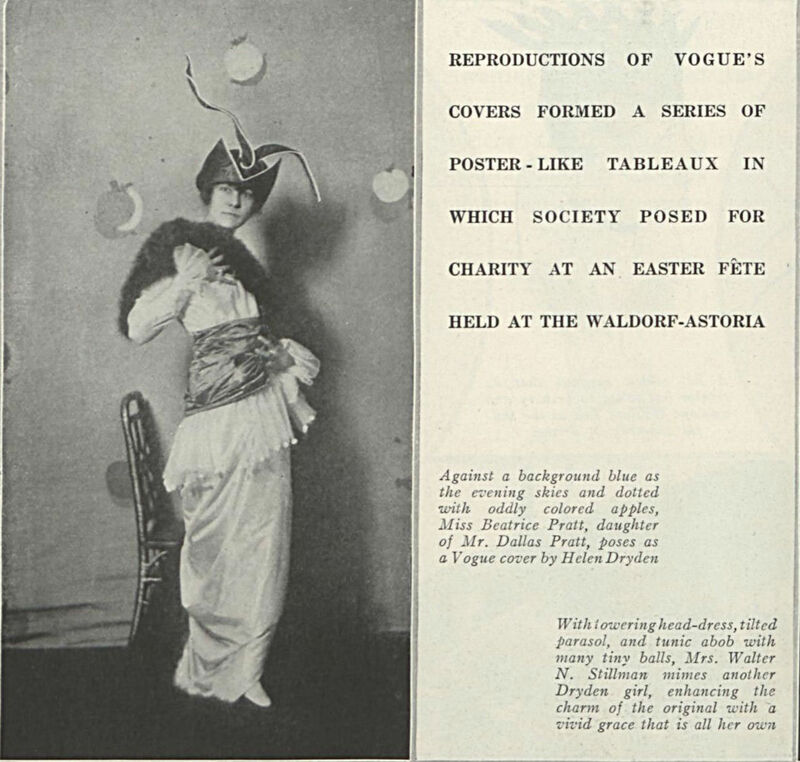 (Indeed, Vogue would not produce its first photographic cover until 1932.) The majority of fashion photography throughout the Teens was commercial and static. But fashion illustration, then an equally, if not more, dominant medium for the dissemination of fashion, more than made up for any of photography’s artistic shortcomings. 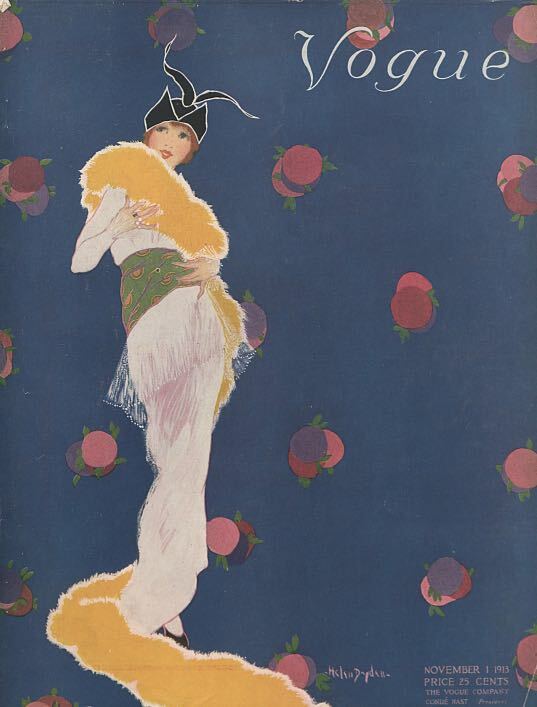 The medium had undergone a dramatic stylistic shift thanks to two seminal works, by Paul Iribe and Georges Lepape entitled Les Robes de Paul Poiret (1908) and Les Choses de Paul Poiret vues par Georges Lepape (1911), respectively, which validated fashion illustration as a means of artistic expression, both in luxury, limited-edition fashion albums and on the covers of mass-produced fashion magazines. Fashion illustration had become an art form. No where is this perhaps more evident then on the covers of Vogue magazine, who employed some of the era’s leading fashion illustrators in creating the visually compelling work that would define the Art Moderne and Art Deco eras. 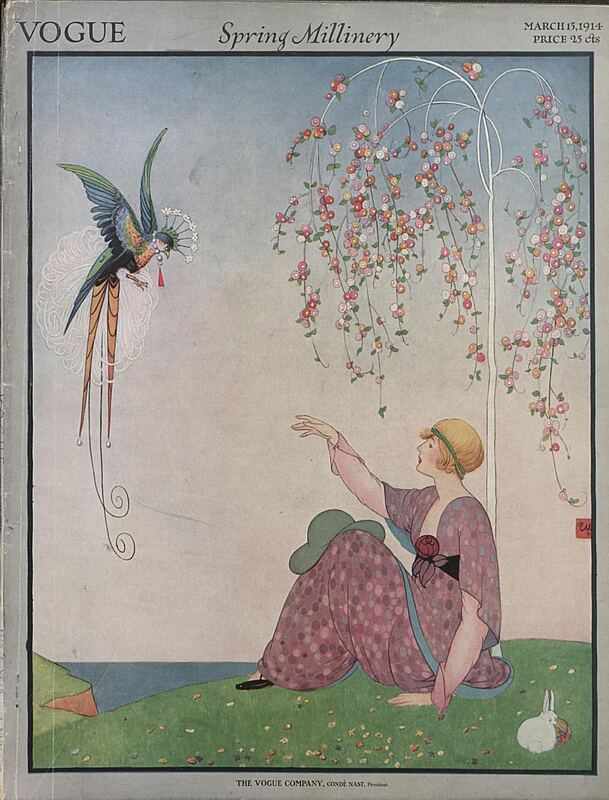 Cover of Vogue magazine by Helen Dryden, April 1, 1914. Two of the leading American illustrators of this school of hybrid artist/fashion illustrator types were Helen Dryden and George Wolfe Plank whose oeuvre for Vogue is prolific. Between the years of 1910 and 1930, Dryden produced over eighty covers for the magazine, while Plank produced over sixty. 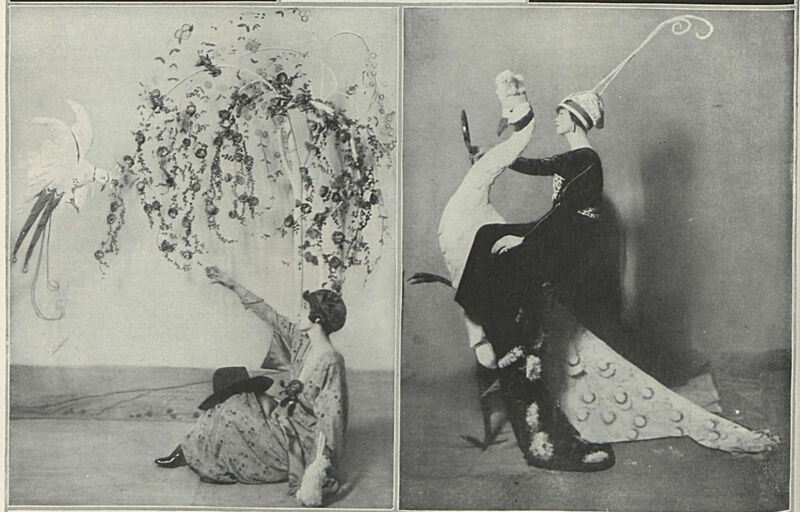 So celebrated where their distinctive styles, that Vogue magazine made a photographic attempt to reproduce them in their May 15, 1914 issue, as seen here. But unlike the success Steichen found when mirroring the illustrations of his contemporaries, the photographs, taken of society women at a charity event held at the Waldorf-Astoria, fall incredibly short. Everything about the photographs, from the set designs to the costumes to the women’s clothing and blank expressions, fail to invoke the spirit and allure of the enchanting illustrations they are meant to imitate. Judge for yourself below. Photographic reproduction of a Vogue cover by Helen Dryden. Illustration by Helen Dryden for the cover of Vogue, November 1, 1913. Photographic reproductions of Vogue covers by George W. Plank. 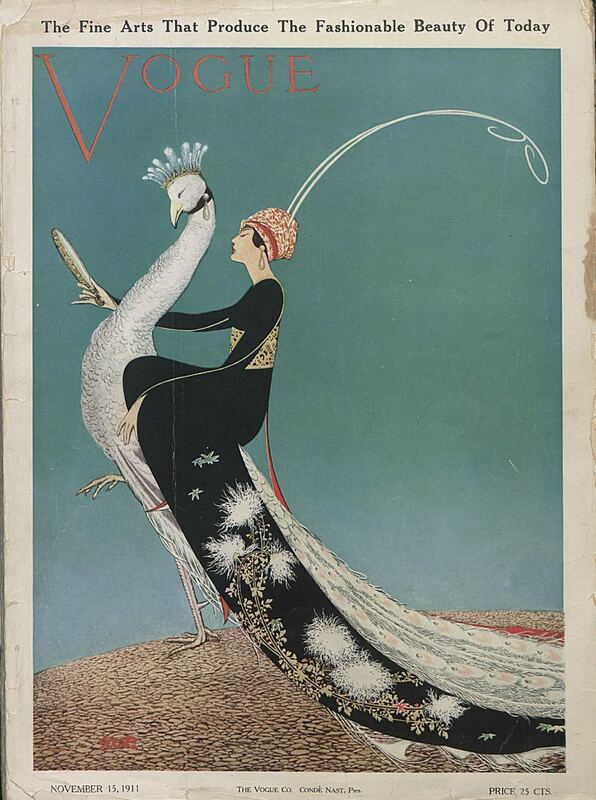 Vogue cover by George W. Plank, March 1914. 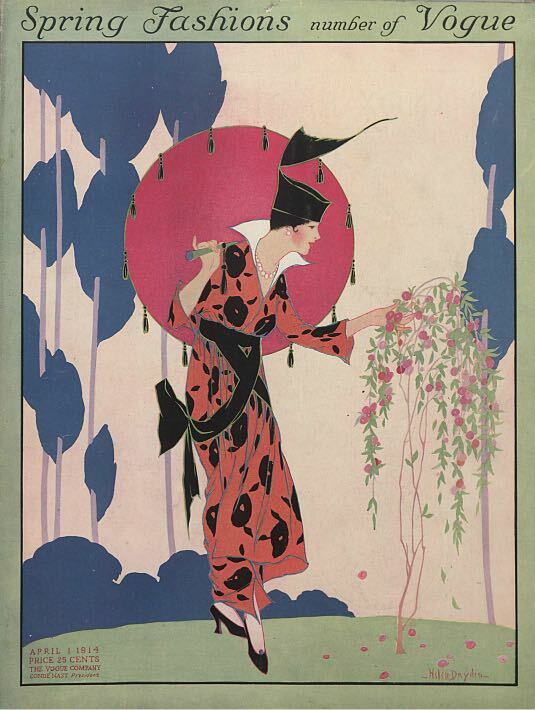 Vogue cover by George W. Plank, November 1911. All images found on the Vogue Archive via ProQuest, an invaluable keyword searchable archive which includes access to not only Vogue but The New York Times.